Offering hot air ballooning, spas, trails, equestrian recreation, parks, farmers markets, community events, nurseries, and of course lots of wineries; just a few of the things we love about Woodinville! When living her nothing should slow you down, especially not legal issues; which is why at the Law Offices of Setareh Mahmoodi, PS our Woodinville attorney has helped hundreds of clients with their legal needs. We focus on business formation, corporate law, contracts, bankruptcy, all tax matters, estate planning and probates so you don’t have to. Now you can enjoy the beauties of Woodinville and let us worry about the rest. 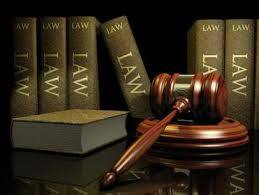 Read about some of the legal services we offer at our law firm. Our Woodinville bankruptcy attorneys have beeb helping many clients seek debt relief under the bankruptcy code when they struggled with debt or a major event in their lives. Our clients are successful business owners or individuals who have either a traumatic event in their lives such as illness, divorce, or been affected by the economic downturn and needed our assistance in filing for bankruptcy. Many clients have tax debt or issues that may be addressed in a bankruptcy. 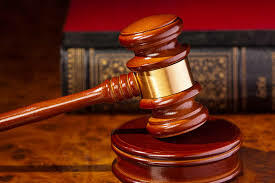 For the best Woodinville Law Firm look here as we have extensive experience with tax and bankruptcy laws and can competently advise our clients so they can make the best informed decisions. Taking the step towards resolving one’s financial dilemmas by filing bankruptcy is a very brave step but can be emotionally charging. Our Woodinville bankruptcy lawyers have helped hundreds of clients file bankruptcy throughout the Seattle area such as Bellevue, Kirkland, Bothell, Woodinville, and Kenmore. We understand that this is a sensitive and difficult matter for our clients and we are here to help and ease the process. Hiring a Woodinville Tax Attorney can greatly enhance your financial situation. Consider a professional who has experience and drive to land you in the best situation for you, your family, and your business. Debt Relief Options: Our Woodinville lawyers have helped hundreds of individuals and businesses seek debt relief options under the bankruptcy code and helped them by providing them with a fresh start. Our lawyers have also helped many individuals and businesses with both federal and state tax issues. We can competently advise on offers in compromise, payment plans and negotiations with the IRS, L&I and Department of Revenue. All of our clients feel a sense of relief and sometimes even joy after just the first meeting to discuss bankruptcy and debt relief options. Bankruptcy laws can be complex and it is important to discuss all of your options with an experienced Woodinville bankruptcy attorney first. Contact us for a free phone consultation at 425-806-1500. Conveniently located in downtown Bothell. Find us on the map. We take great pride in assisting individuals and families plan their future by offering reasonable and creative Woodinville wills and estate planning solutions. We can draft wills, powers of attorneys, healthcare directives or trusts. Thought of as the premier Woodinville Estate Attorney, we are here to help and serve you first. Your comfort is a priority of ours. We can also advise clients with larger and more complex estates on creative solutions in estate planning such as living trusts and other ways to avoid probate or take advantage of tax benefits. Being a Woodinville wills and estate attorney offers rich and rewarding relationships we value, and we think you will too. All of our clients feel a sense of relief and sometimes even joy after just the first meeting to discuss bankruptcy, estate situations, and debt relief options. Bankruptcy laws can be complex and it is important to discuss all of your options with an experienced Woodinville attorney first. We have also helped many entrepreneurs make their dreams come true by giving them competent legal advice on business formation and contracts. Contact us for a free phone consultation at 425-806-1500 or look us up via social media.